Aimee Gonzales has more than 20 years of experience in managing multicultural teams in the design and implementation of marine/fisheries strategies and public policy reform to mainstream environment in regulatory, planning and investment frameworks. Prior to joining PEMSEA, Ms. Gonzales held various posts at WWF International. The most recent was as Manager of the Marine Ecosystems Goods and Services, where she worked on evidence based economics and policy analysis on marine/fisheries issues. Her previous positions include Manager for EU Fisheries and Trade, Senior Policy Adviser for Trade and Investment and Coordinator of the Expert Panel on Trade and Sustainable Development. 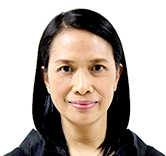 Before migrating to Switzerland, Aimee served as Head Executive Assistant to two Cabinet Secretaries of the Philippine Department of Environment and Natural Resources. Aimee holds a Masters in Environmental Assessment and Education from the London School of Economics and a Masters in Public Policy from National University of Singapore. Mr. Lee has more than 10 years of experience in scientific research relating to the issues of climate change and marine ecosystem conservation. 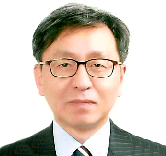 He has worked at the Ministry of Oceans and Fisheries (MOF) of RO Korea since 2007. Serving as a Deputy Director of MOF, he worked in various divisions of the MOF including the Marine Environment Policy Division, Marine Ecology Division, Marine Conservation Division and Promotion of Export and Processed Fisheries Products Division. As PEMSEA’s Deputy Head of Planning and Partnership Development, Mr. Lee promotes collaboration among PEMSEA partners through joint planning and development of projects in support of implementing the Sustainable Development Strategies for the Seas of East Asia Sea (SDS- SEA). He is also acting as PEMSEA’s Country Manager for RO Korea. Mr. Lee holds a Bachelor of Science in Oceanography from Pukyong National University, RO Korea and a Master of Science in Marine Environment Protection from University of North Wales, Bangor, U.K. In 2002, he received his PhD in Life Sciences from Napier University, Edinburgh, U.K.
Mr. Cardinal brings to PEMSEA over 20 years of experience in audit and systems review of ISO 9001, ISO 14001, OHSAS 18001 and IMS requirements. 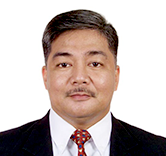 He has been with PEMSEA since 2008, overseeing the development, testing and verification of the integrated coastal management (ICM) code, including the formulation of a recognition and certification system that conforms to ISO 9001 (Quality Management), ISO 14001 (Environmental Management) certification standards, among others. He has a degree in Metallurgical Engineering from Mapua Institute of Technology in the Philippines. 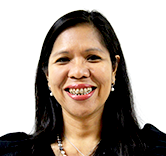 Ms. Dela Pena is PEMSEA’s finance manager with a successful record on process analysis, financial controls, budget planning and auditing. 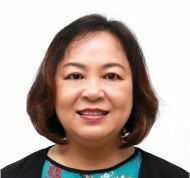 She joined PEMSEA in 1996 and has been responsible for effectively leading the finance team to support the organization in meeting its goals and partners’ expectations. Mary Ann has experience in implementing the financial rules and practices implemented by UN agencies and PEMSEA country and non-country partners. Prior to joining PEMSEA, Mary Ann worked on projects with USAID and AusAID under the Philippine Center for Population and Development. Mary Ann is a CPA with a degree in Business Administration and Accountancy from the University of Manila. Ms. Bermas has extensive working experience in the region developing, implementing and scaling up ICM and supporting policies and programs at the national and local government levels. She is involved in the development and implementation of ICM capacity building programs at the regional, national and site levels, and provides advice and technical support to stakeholders in the application of ICM processes and tools. Nancy has researched and written extensively on ICM and has numerous published works on the sustainability issues of the seas and coasts. She has been part of the PEMSEA team for almost two decades. Nancy holds a Masters Degree in Biology from the University of the Philippines.